This is part 2 of our multi-part series on plant science and evolution. To read part one click here. 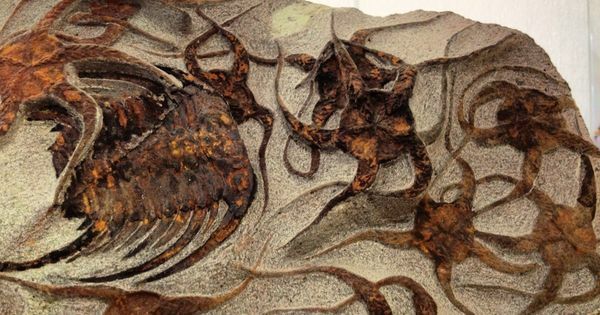 Imagine its 485 million years ago. The modern landmasses of Africa, India, Australia, South America and Antarctica are conjoined in a super continent called Gondwana close to the equator. Three continents sit in the Northern Hemisphere, Laurentia, Baltica and Siberia. Ocean levels are the highest they’ve ever been, covering most of the low-lying continental crust in shallow, epicontinental seas. The air is laden with CO2 (about 7000 ppm vs modern 400 ppm). As a consequence of the greenhouse effect of CO2 the ocean’s temperature is about 45 C (113 F). If you were a human in this environment you would die of suffocation within a minute. During the Ordovician, continent-sized shallow seas covered Australia, China, India, parts of Africa, North America and Siberia. Those seas nurtured an explosion of life. Competition in the shallow seas is fierce. Algae blooms of all types expand in the nutrient-rich, sun-lit waters. The Great Ordivecian Biodiversity Event is in full swing as competition, easy access to nutrients and giant, shallow seas spur an evolutionary arms race. Paleobiologists, never the sort of people to exaggerate things, call the change “radical". Feeding on the planktonic blooms was a vast array of suspension feeders. Jawless, armored fish and hard-shelled cephalopods (cousins of octopi and squid) patrolled the sea, feeding on the teeming reefs made of newly-emerged corals. Trilobites and the first sea stars formed carpets on the ocean floor, consuming bacterial and algal lawns. Marine biodiversity tripled. So how do plants factor into this? All this biodiversity was emerging while Charophytes, a division of green algae, were developing. 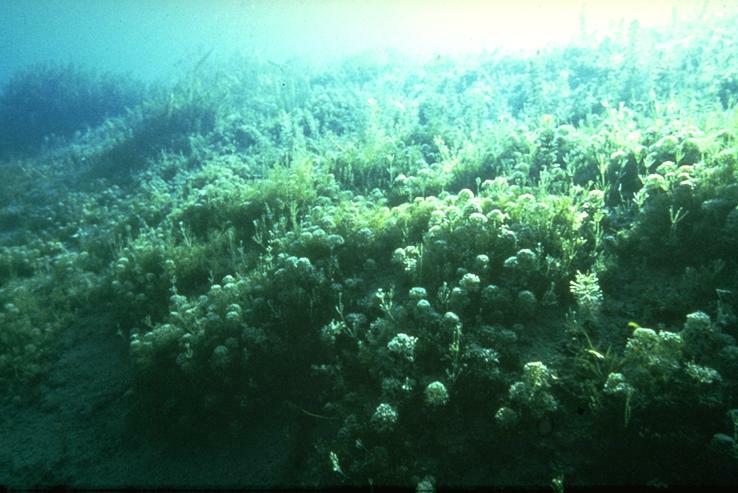 You’ve probably seen meadows of Charophytes in modern lakes, ponds or slow-flowing streams and mistaken them for terrestrial plants. Charophytes are complex, green algae that grow in long, branching filiments. Like modern land plants they only grow from the tips. They form complex, protected jackets around spores and produce root-like rhizoid tissue. Nitella a Charophyte, looks surprisingly like a modern, terrestrial plant. If you’re a Charophyte you face a number of disadvantages in the shallow seas of the Ordovician. Those complex filaments you grow are harder to make than, say, a mat of algae or bacteria. It’s even more difficult to grow back after a wave of trilobites mows over you. Your organized, rooted structure means you need to live in places where the water is shallow and still enough that the light penetrates to the bottom, a tall order in a sea rich in heavy planktonic blooms. What's worse shallow water is vulnerable to tides and drying out. Fortunately, coasts are right next to unexploited real estate. Future land plants, meet your only neighbors for thousands of miles and millions of years. Land at this time was only colonized by soil bacteria, photosynthetic algae on the surface and fungi. Lichens, a partnership between fungi and distant, green algae cousins of Charophytes colonized the land millions of years ago. Primitive soils had begun to emerge from fungal, bacterial and geochemical interactions. This was the first time in Earth's history that primary succession, the colonization of bare land, had occurred. Of course land presents challenges for algae. Without ready access to water you face desiccation and a loss of buoyant structural support. It’s also hard to reproduce on land when you’re used to reproducing in water. You need water to distribute your gametes (sexually reproductive cells) and to spread your spores. (As an algae you reproduce both sexually and asexually). Furthermore, the fungi that colonize the soil are probably relatives of parasites that penetrate and kill you. The land is tough. Learning to grow without water on rocks with very little soil, as it turns out, is possible but takes a 100 million years or so to get right. Over millions of years Charophyte algae adapt to these challenges. Their cell walls thicken and develop multiaxial filaments to strengthen support their stalks and conserve water. They develop a thick, waxy, non-cellular cuticle to hold water in. Spores are covered with sporopollenin, waterproofing them for extended trips through the air. Gametes are sheltered in specialized jackets of sterile cells for sexual reproduction. Rhyzoid tissue becomes more specialized and forms carpets to hold them in place. The parasitic Glomalean fungi are pacified into root symbionts. Even with these adaptations they’re not able to grow taller than a modern moss or hornwort but this gives them a distinct advantage over algal mats. Rhizoids and stalks can grow straight over them. By the end of the Ordovician the land is covered in primitive plants which may have altered the global climate. We've gone from algae to moss in about a hundred million years but there's still lots of development left. On our next installment we will trace the history of plants from moss to vascular plants to trees and forests.